Things were very quiet after I returned from China. It rained a lot in Somerset, even when it snowed over the rest of Britain. 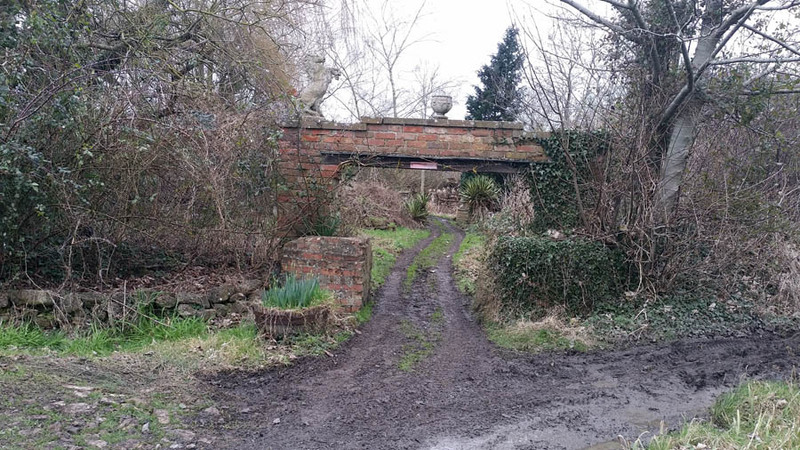 Although we’re continuing to work on the allotments, Glastonbury Town Council has promised the government they will sell the land to developers. I expect there will be letters to the Gazette. The Resilience Handbook Community section covers the basics of setting up a local organisation – you never know when you might be ambushed by outside forces! 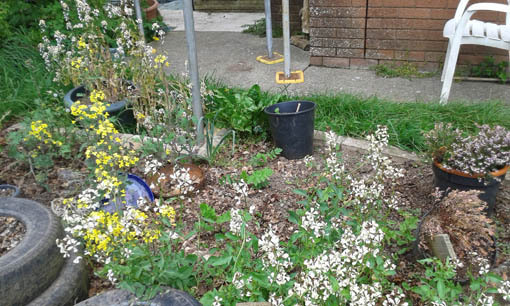 Consequently, the Resilience Garden will be coming out of its fallow period, so plenty of work ahead there. I wanted to see how it would perform for edibles if left alone for a whole season. The leeks did well, and the self seeded broccoli has given a steady harvest of green leaves. I did plant out some courgettes and squash in the summer; their huge leaves and sprawling vines were a great weed suppressant. It’s the Chinese Year of the Earth Dog now – I wonder if that’s auspicious for digging? I got the bus to Bristol, to meet up with my friend Val from Swansea, for the New Year celebrations at the Wai Yee Hong Chinese supermarket. 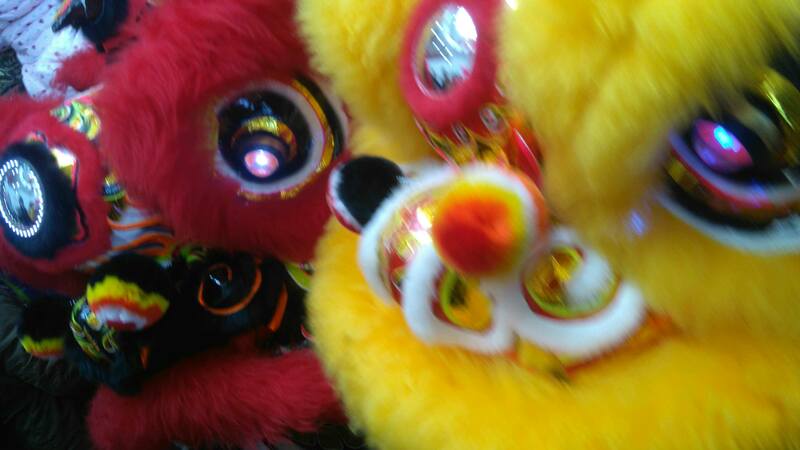 They lay on a stage, host a street food market, and hire the Lion Dancers. The supermarket itself is entertaining enough for a visit. The gaudy labels sometimes condescend to have a English translation stuck over them, but there’s still enough mystery for shopping to be something of a lucky dip. The range of exotic fruits – tinned, dried, crystallised, salted – and the unique cuts of pork…. ….anyway this is getting to sound like an advert. 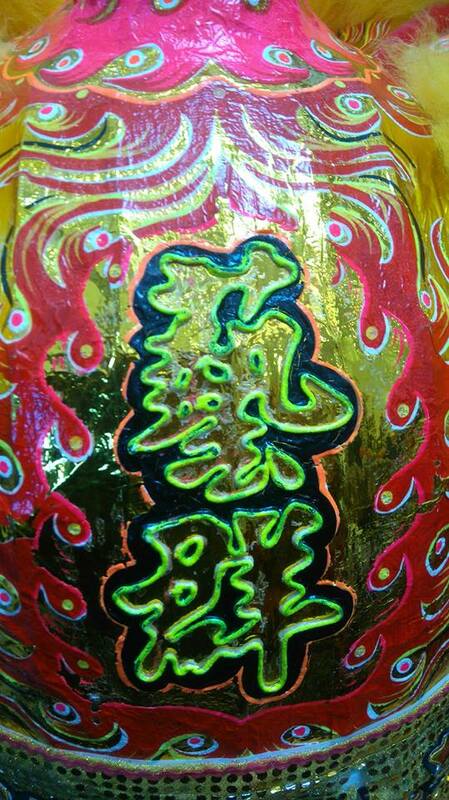 Be careful though – I ended up in China itself after my first New Year Lion Dance here! My intrepid publishers at Magic Oxygen are on an expedition to Kenya. They’ve been funding tree planting and building school classrooms in Kundeni, initially through an annual literary prize. Now they’ve formed a charity, the Word Forest Organisation, to further these projects. They’ll be back in time to host the Magic Oxygen Literary Prize Giving in Lyme Regis on March 31st – I’ll be there to answer questions about resilience – then add the finishing touches to ‘Recipes for Resilience’. Routine life provides a backdrop to exciting travel adventures in the way that a simple chain highlights the jewels strung on it. However, there are mysteries to be discovered in ordinary settings and one of these, pictured above, is the legendary Town Tree Farm….. Things haven’t felt as hectic as they’ve clearly been, for here is the evidence in my long gap between posts! I joined the local parish council to work on the Emergency Plan for the area. 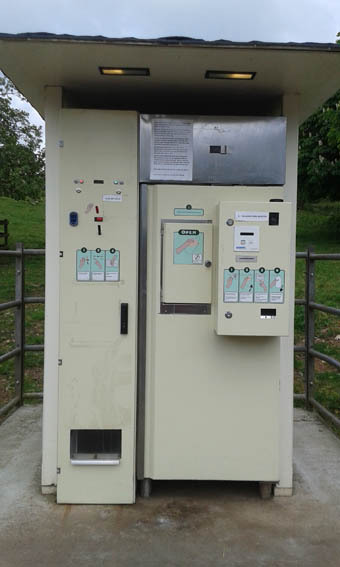 While exploring emergency routes on my bicycle, I found this milk vending machine at a farm gate! My fridge broke, I replaced it from a local independent store where there are people who can fix it if it goes wrong. Score a ten in the Resilience Assessment! 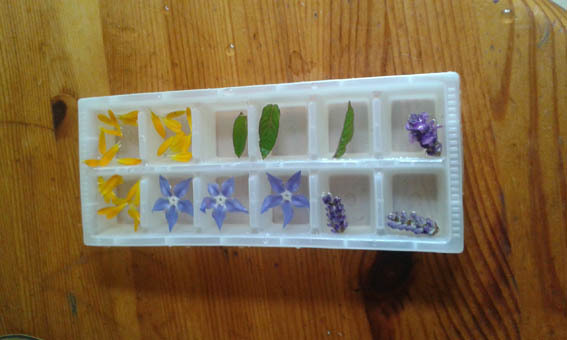 I celebrated by freezing some of my home made elderflower cordial – diluted – into ice cubes with flower petals and mint leaves. It’s still all about food and growing. Someone dropped out of the Resilience Allotment project, so we lost a third of our growing area. Maybe it was too much to manage, as the new hedge in the field needs a lot of attention. We’re continuing with the cardboard mulch, which is working well so far. The perennial weeds can’t get through it easily; eventually the trees will shade them out. 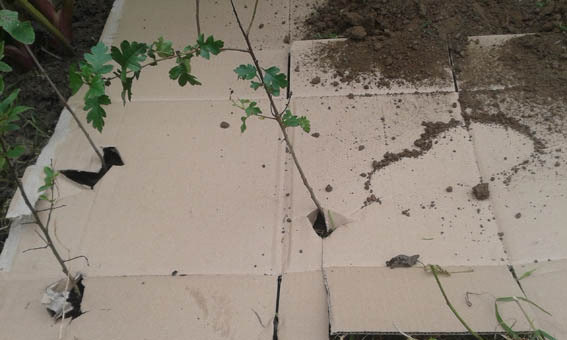 Note the edges of the holes around the saplings are pushed downwards, to channel water to their roots. ‘Recipes for Resilience’ occupies a lot of my desk time. I’m working my way through the final selection of recipes. Some recipes I’ve never tried before, but they illustrate important techniques in preserving, which you may need come the Zombie Apocalypse or even a few months of international trade disruption. 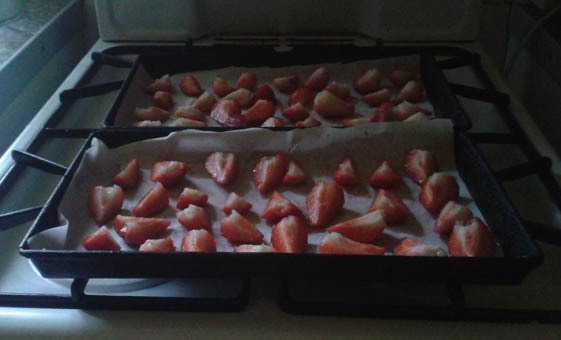 I thought I’d try dehydrating strawberries. The internet confidently assured me that, on a low oven, this process could be accomplished in two hours, after which you could powder them into a jar. It was a chilly summer evening, so I decided to do this instead of turning the heating on. I set my cooker, which runs on bottled gas, on to less than gas mark 1, propped the door slightly open and put the strawberries in. The greaseproof paper was crucial, as they leaked puddles of juice, which then began to scorch. I moved them on to a clean piece twice, which was tricky as they were very soggy at this stage. After four hours, I had not very much of something which looked like it might keep for a few weeks, but certainly couldn’t be powdered. All those strawberries came down to one large tablespoonful. 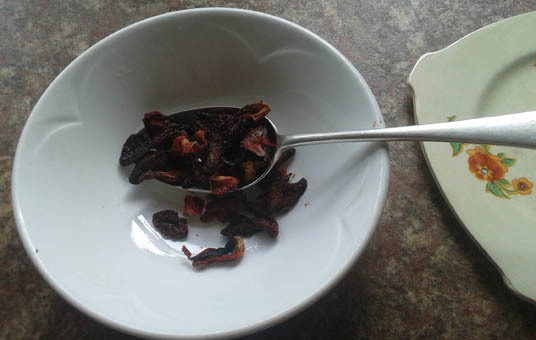 Although the dried fruit was chewy rather than crunchy, the taste was quite intense. It was more like a fruit leather than something dehydrated. It’s not usual to make fruit leathers out of summer fruits – you wouldn’t want to have the oven on all day when these are in season. If you were getting some of your electricity from solar power, though, it would pay to buy a dehydrator. You could preserve your strawberries free of both cost and sugar! Even here in Somerset, land of marshes and muddy festivals, there’s been no proper rain for weeks, only an occasional condensation like a wet mist. It’s been relentlessly dry, and now a chilly breeze batters the valiant peas clinging to their frames. The soil of our resilience allotment, overused and drained of nutrients by the last gardeners, has turned to rubble where we’ve dug it; concrete elsewhere. We’re holding the rest of our seedlings at home still, where they can have more water, but they’ll have to go out soon. The dark line to the right in the picture below is a compost-filled trench ready to receive peas. The leaf mould mulch has run out now; we don’t want to use straw in case it combines with the clay to make bricks! 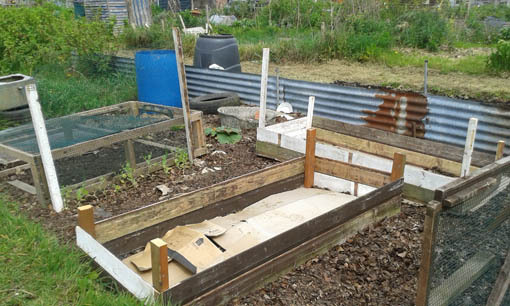 We’re building temporary raised beds, using the wood from the neighbour’s old shed. 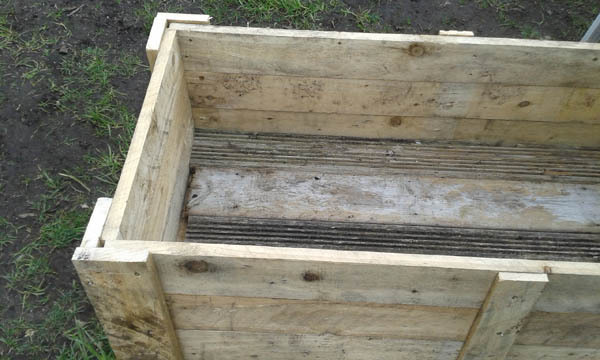 These are getting filled with free manure and topped with a thin layer of bought compost. In the winter, when the soil is soft again, we’ll dismantle the beds and dig this in; now, we’ll raise a catch crop in them. I don’t see much hope for the remaining seed potatoes, though. I’ll probably put them out in the lower quarter to break up the soil there, but I doubt we’ll get much from them. We’re relying on courgettes and squashes to fill in the bare patches. 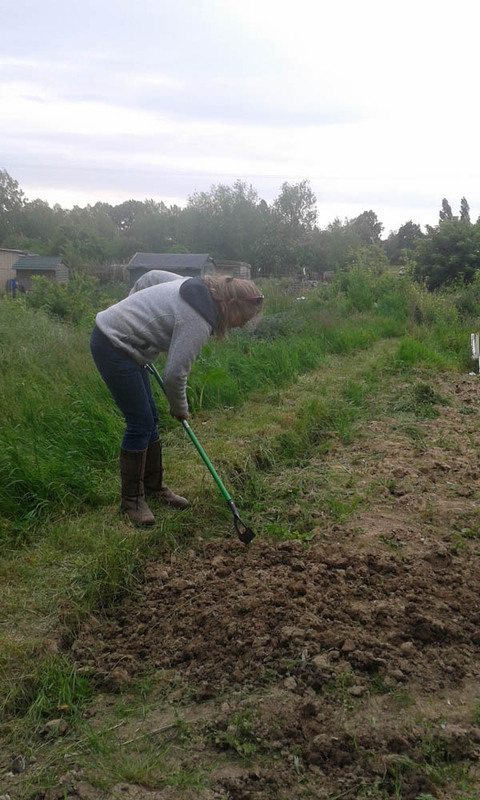 The allotment is hard work, but so was the resilience garden until it was established. 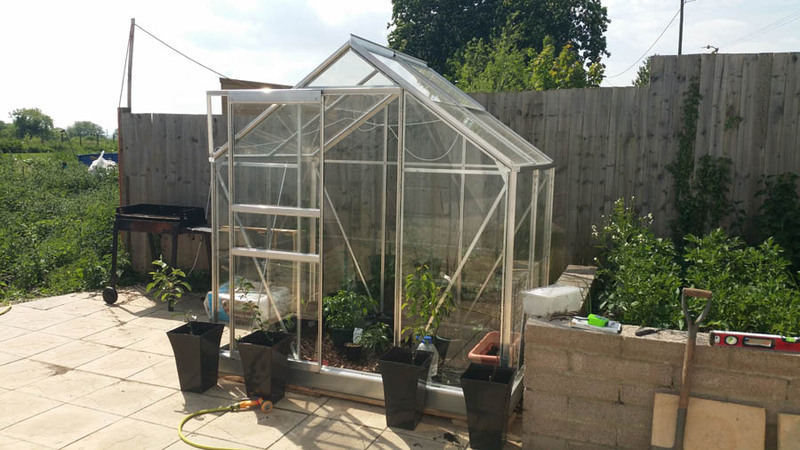 The techniques we are exploring in the allotment can be adapted to reclaim post-industrial landscapes. I’m impressed with the mulching properties of packaging card. 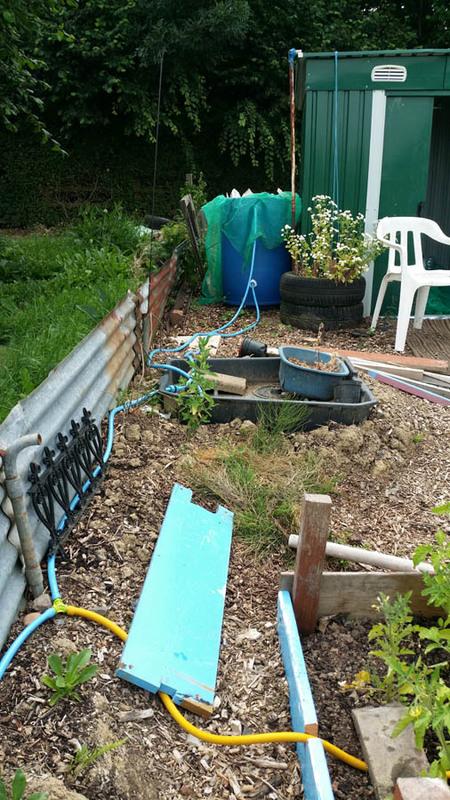 Once the rainwater distribution system – which we can top up from the communal water trough – is in place, and the perennial weeds conquered, we’ll have the basis of a low-maintenance, high yield system. 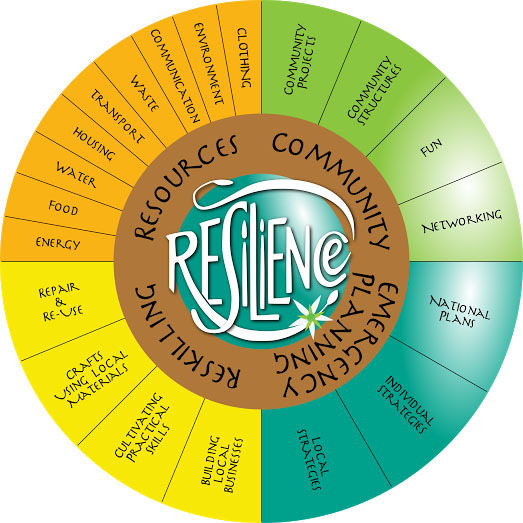 Just in time, as the next project is on the horizon – the Resilience Field! 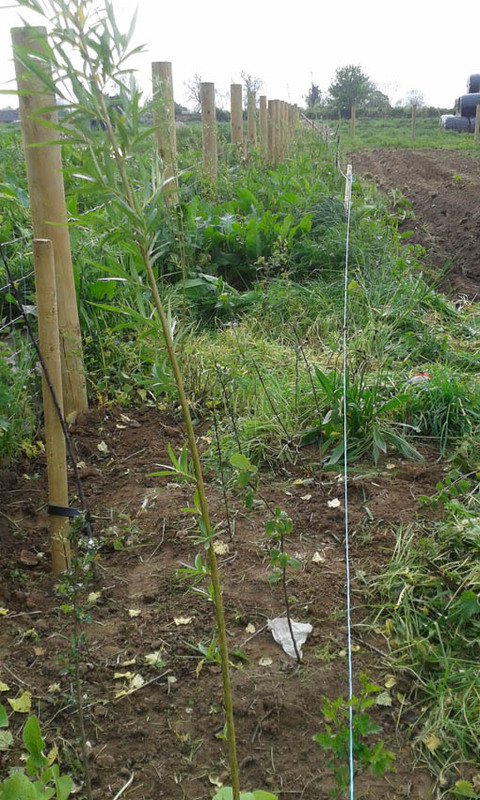 Above is the hedge…there wasn’t time to weed the ground first, so the deep rooted perennials, able to access buried moisture, threaten to overwhelm the thin young trees. This is the worst section, being weeded by hand. 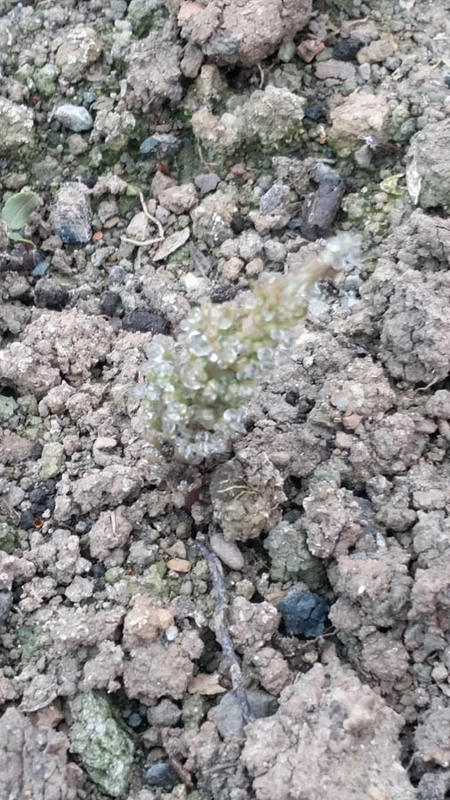 Once it’s clear, we’ll lay a cardboard sheet mulch around the saplings and cover this with soil, now easily accessible as the field has been ploughed. The trees will be able to defend themselves in a few years, especially if we import wild garlic as ground cover. Writing ‘Recipes for Resilience’, I learned how crucial grains were for survival in the seasonal North. The dry weather isn’t doing British grain farmers any favours; does anyone else worry about poor harvests? Everyone eats bread, cakes, pies…how many of you bother to find out where the flour comes from? It’ll take you ten minutes to vote in June. Instead of banging on about it, use the time to write yourself a shopping list. Can you order any of it online from suppliers who buy British? Is there a farm shop nearby, a food market? Put Facebook down for a few minutes and have a look around. 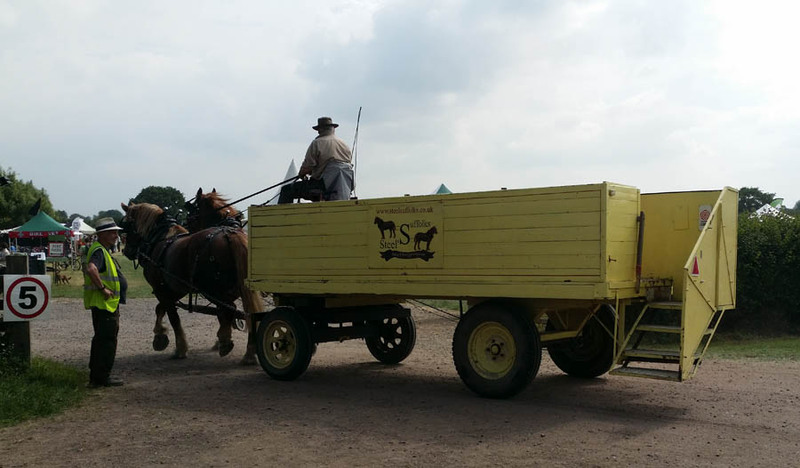 Read the Hemp Twine Project to see how much difference buying local can make! “Farmers go bankrupt in the midst of thousands of potential customers for their produce” from ‘The Resilience Handbook – how to survive in the 21st century’. Then what will you eat? 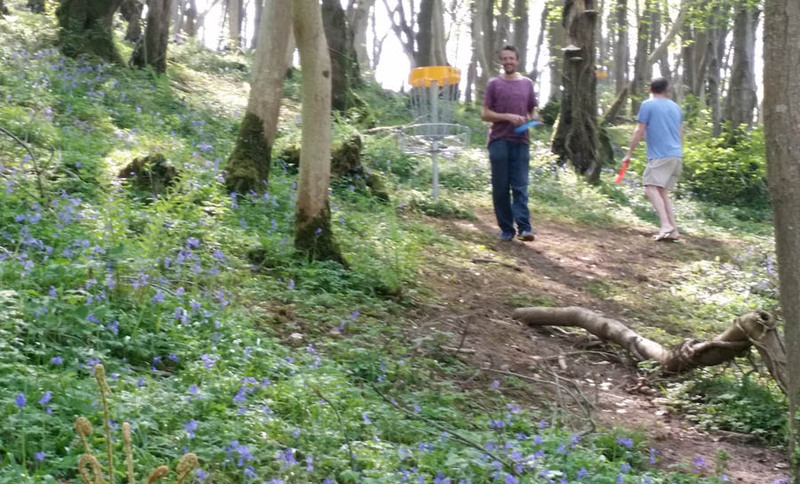 It’s been an early, dry Spring in most of England this year. 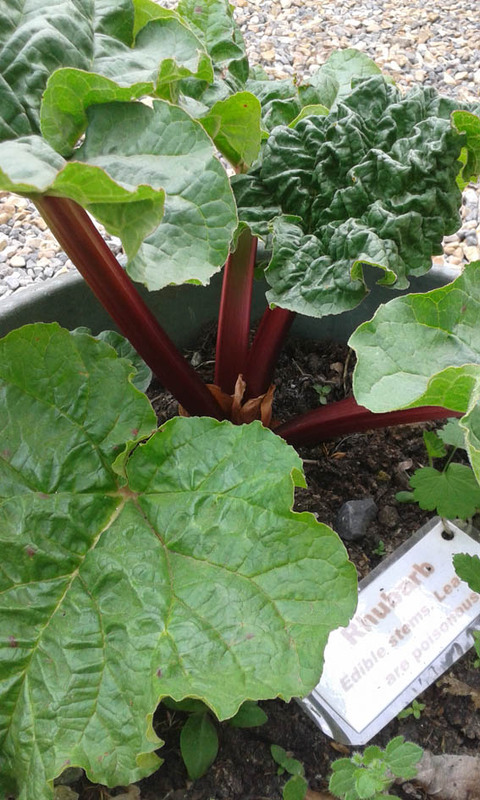 Here in our southwest corner, the rhubarb is thin and the potatoes slow to come up. On the positive side, the slugs are discouraged and the seedlings are getting a good start. Watering them is a daily chore now. Having failed to negotiate a supply of wheat seeds – it’s hard to buy a small handful – I planted some old gleanings I found in the seed box. They seem to be coming up, but look exactly like grass just now. If the experiment doesn’t work, I’ll dig over and plant out squashes, or grow a catch crop of cress. We managed to subdue most of the really wild quarter of our new Resilience Allotment while the soil was still soft. 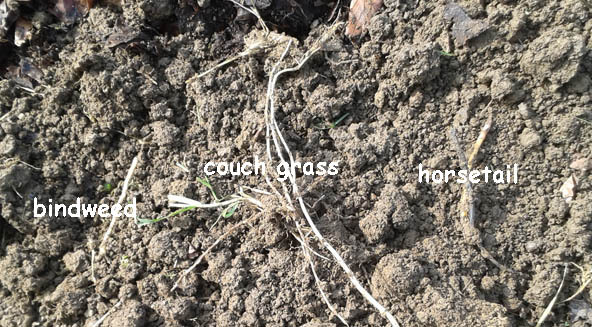 To clear the established perennial weeds – couch grass, bindweed, dandelion and horsetail – we turned the matted turf over to a spade’s depth, pulling the exposed roots out by hand as we broke up the clumps. These went to the tip for recycling, as they can sprout again from fragments. 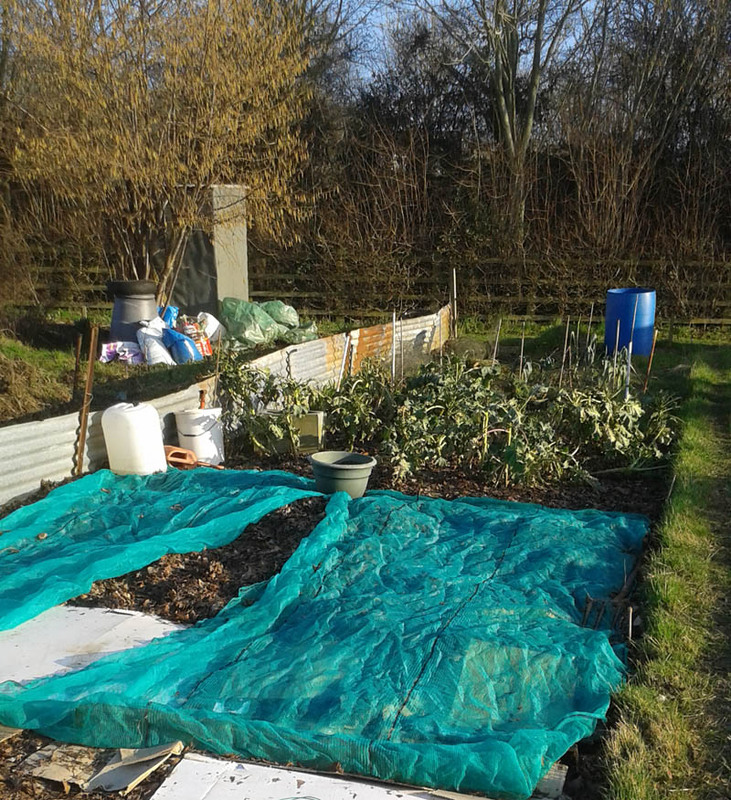 A layer of leaf mould covered with cardboard sheets was laid on the sections we dug over, topped with another layer of leaf mould. Holes were cut in the card and our vegetables planted through it, in a handful of compost. The thick mulch will discourage the weeds – though we haven’t seen the last of them – and give our plants a head start. The leaf mould was free, from a huge pile dumped in the allotment car park. It’s not ideal; in this dry weather it starts to blow away, and I worry that the potatoes may not like it. “Do not dig your potatoes up to see if they are growing” – a modern Zen saying! There was an urgent need for a weed suppressant though, and the leaf mould was available in large amounts. 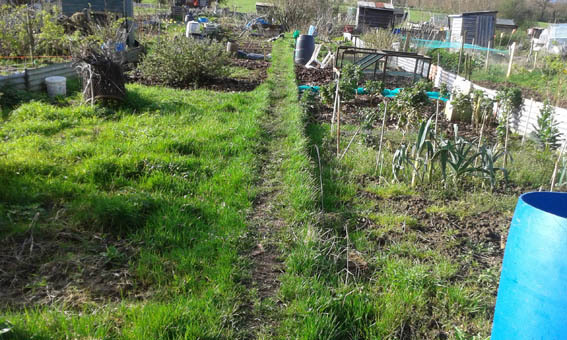 Resilience gardening is about making use of local resources, in a very permaculture-like fashion. It’s also about low maintenance. While I’m concentrating on the allotment, the original Resilience Garden is ticking over nicely. The leeks and purple sprouting broccoli are finishing now, the kale going to seed, and the new peas coming up. The wild garlic is getting a bit ragged, but other salad leaves are coming up fast. The remaining small piece of lawn takes me more effort to maintain than the vegetable patch does. 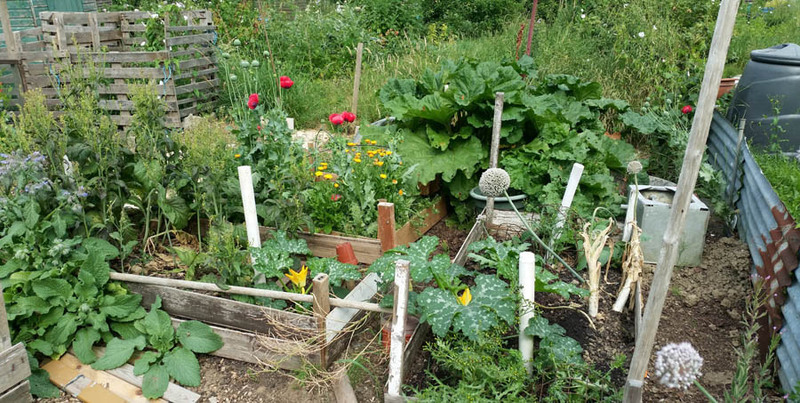 You can learn the basics of starting a Resilience Garden from the Handbook...the best way to learn is to try things out. Even a windowsill pot of herbs is worth doing! 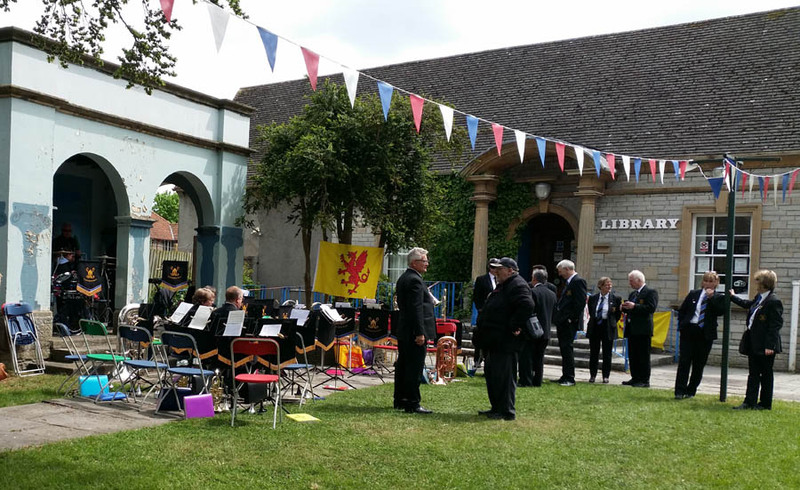 The weather during the first part of the month was lovely and warm here in Somerset. 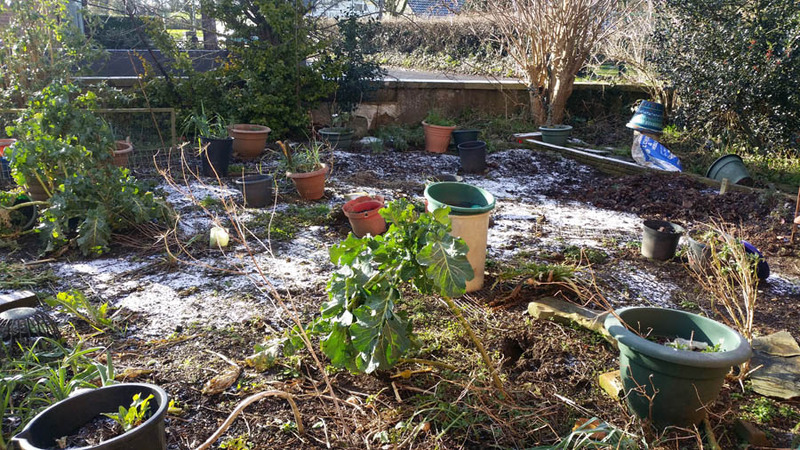 Just as everyone got ready to sow the spring seeds, the very weekend a whole lot of lovely outdoor events were planned….an icy wind sprang up and plunged us back into winter! 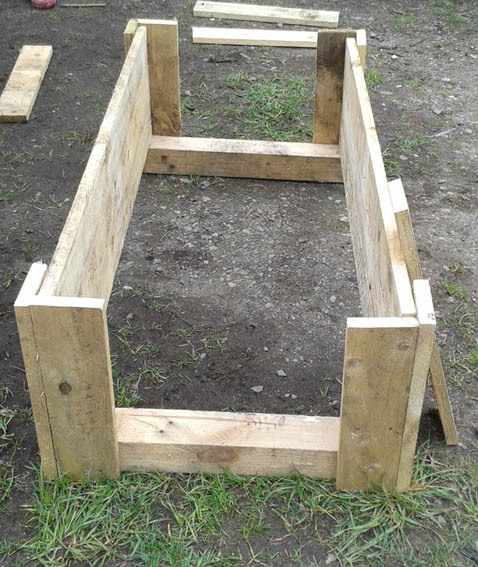 The Red Brick Building Garden Club still managed to make a few raised beds at their Friday workshop. 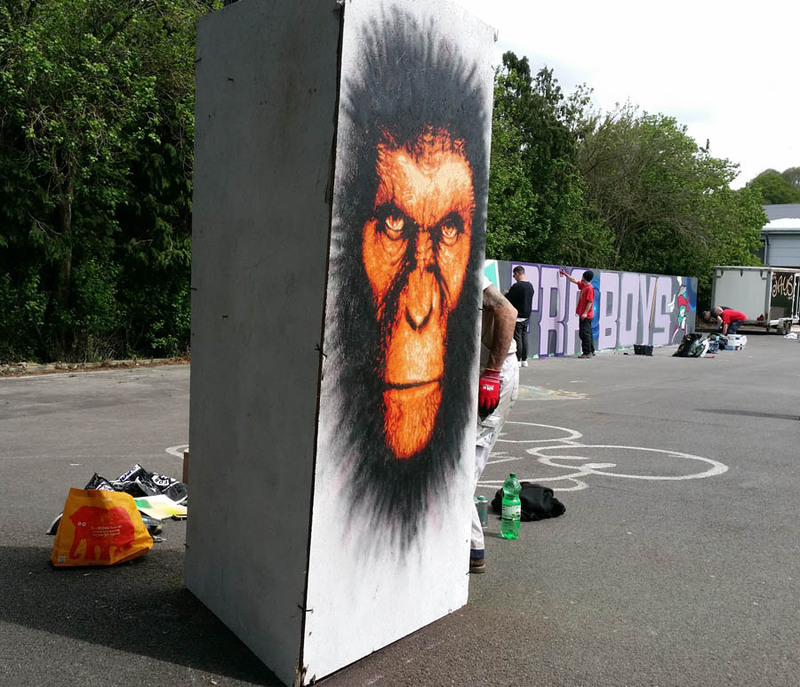 These are constructed from dismantled pallets, and only take a couple of hours to make once you’ve had a bit of practice. 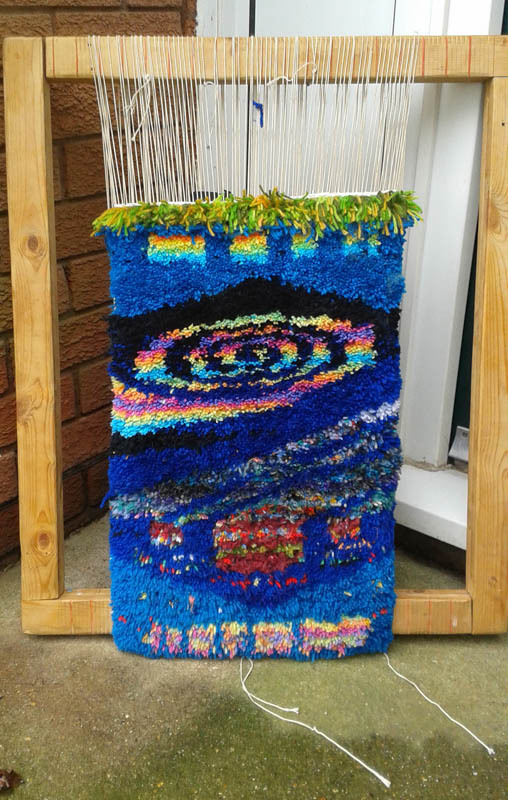 They were on display for the Seedy Sunday event on the 19th, along with a biochar stove, advice on mushroom cultivation and the main event in the hall. Every year, there’s a seed swap day in Glastonbury, in time for planting season. It began in a small church hall at the obscure end of the High Street. Gardeners, sorting through their seed boxes, would bring along the ones they really weren’t going to get round to planting. They’d add them to the pile on the table, and have a look for anything interesting brought by other people. There was tea and home made goodies, of course. 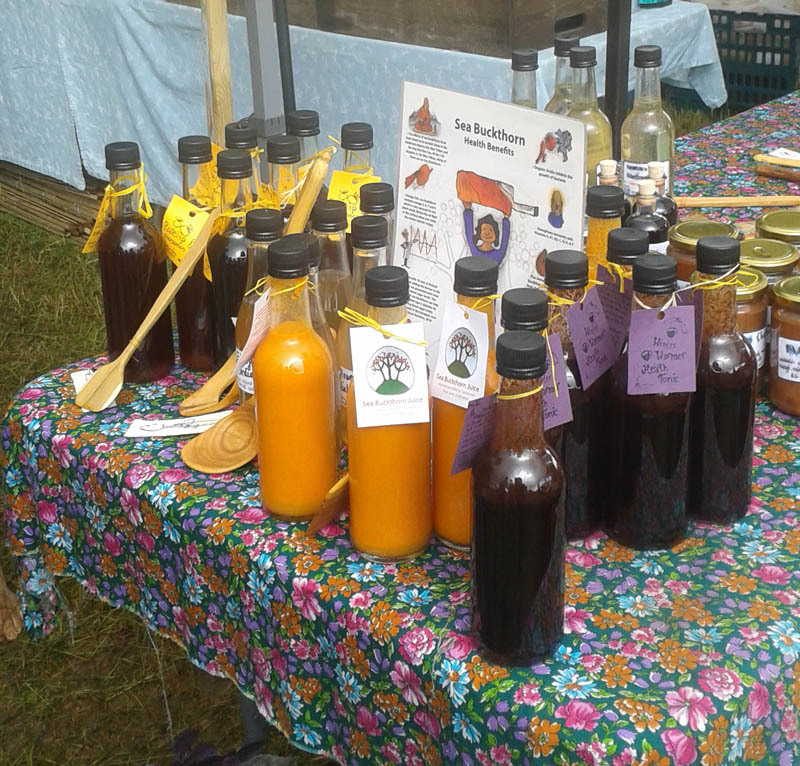 You could sample exotics such as beetroot or parsnip cake, or stick to the traditional lemon drizzle. 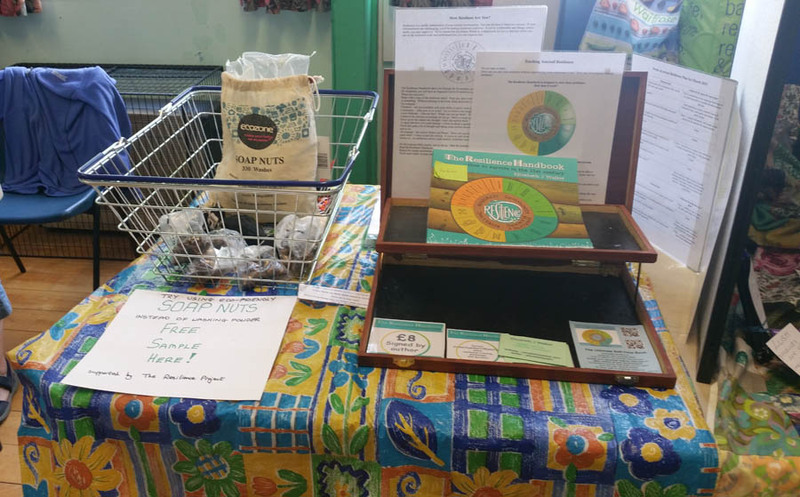 People sold gardening books, sapling fruit trees, craft items, tools, Resilience Handbooks….the event had to move to a larger venue! Green Wedmore held an Energy Advice Day in the yard of the George Inn on the Saturday; although only a few braved the icy cold to investigate, it was a great networking opportunity. Mark and Liz came down from the Centre for Sustainable Energy in Bristol, with a display of in-depth advice leaflets and some very interesting gadgets. 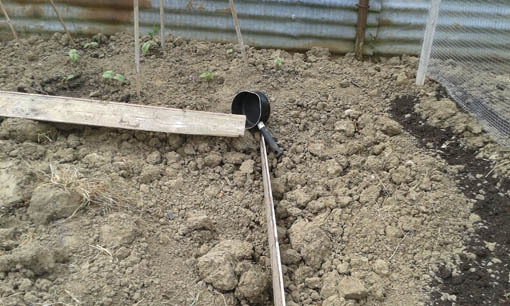 Meanwhile, I’m digging over the allotment after work most days. We’ve been given another patch to look after and it’s pretty wild. I’m turning over the soil, pulling out the main weed roots and binning them. Then, using the great heap of leaf mould which someone – the Council, I suppose – left in the car park, covering the dug ground with a thick mulch. A local fast food store generates more cardboard than its bins hold; we’ll cover the lot with sheets of card, weighed down with bits of brick and a couple of tyres. The first cleared patch is destined for potatoes, planted through holes in the card. Strawberries next – the wild strawberries in my garden are lovely, but I’d like enough to make wine from! Will the birds eat them instead? Will rabbits get our carrots? Is it worth locking the shed when the most valuable bit of it is the door? 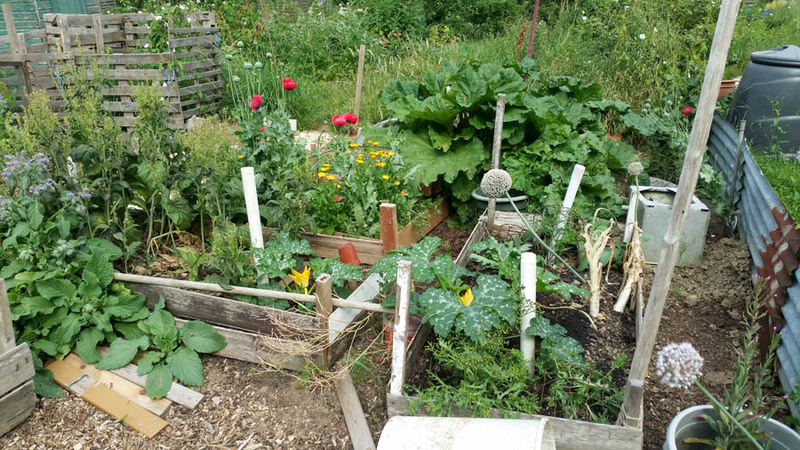 An allotment presents a whole new set of challenges to resilience gardening! Join the adventure – choose a task from the Resilience Handbook and see where it takes you! When I returned from my trip to Hebden Bridge I pitched straight into completing the first full draft of my new book, on food resilience. I’ve been working on this book for some years, piecing the content together from field trips, networking events and out-takes from the Resilience Handbook. Cultivating my own resilience garden supplied me with the vegetables’ point of view! I’ve been living on experiments for months, as I calculate exact quantities for recipes I’ve used for decades without measuring. 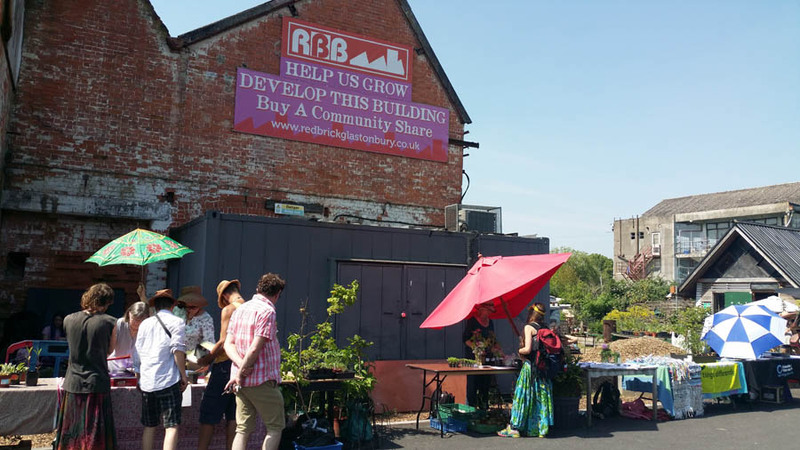 Food resilience combines rotating your emergency stores with whatever you can forage – your own produce, special deals, community orchard fruit. This has kept me so busy that I just don’t use the supermarket any more, except to replenish heavy items in my stores. 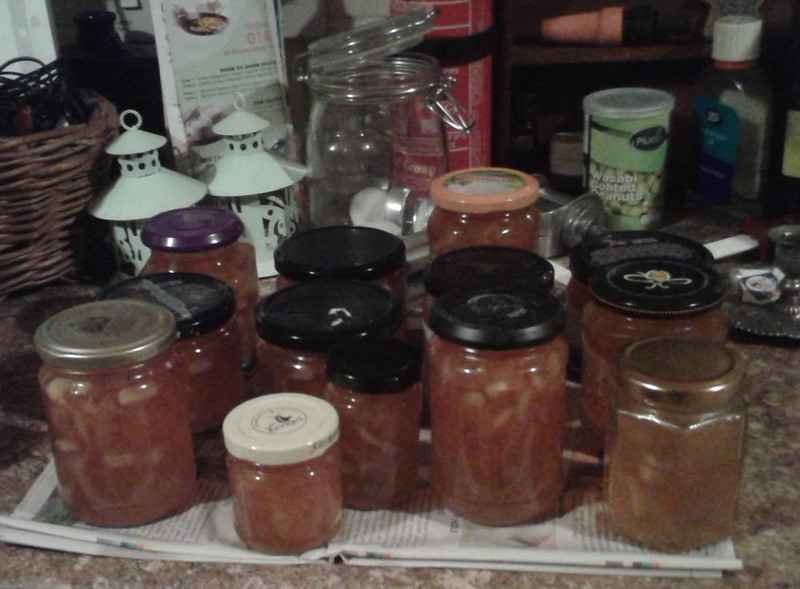 You can’t make just a little marmalade! I find I become quite obsessive at this stage of writing. Once I get past 40,000 words, I encounter continuity issues, even with non-fiction. Did I write on that subject in a previous chapter? Or did I just pencil in some notes? Finally weaving all the threads of a book into a single narrative requires intense concentration on my part. As I rewrote the ‘Table of Contents’ ready to create a master document, and reach my personal milestone – the first word count of a full manuscript – I had that indefinable feeling that it was finished. There’s still a lot of work to do – chapters to revise, recipes to refine – but the book suddenly felt whole. I can take the scaffolding away; it’ll stand up on its own! After over a month of relentless concentration, I can relax back into my normal writing regime. The book still requires work, but not to the exclusion of all else. 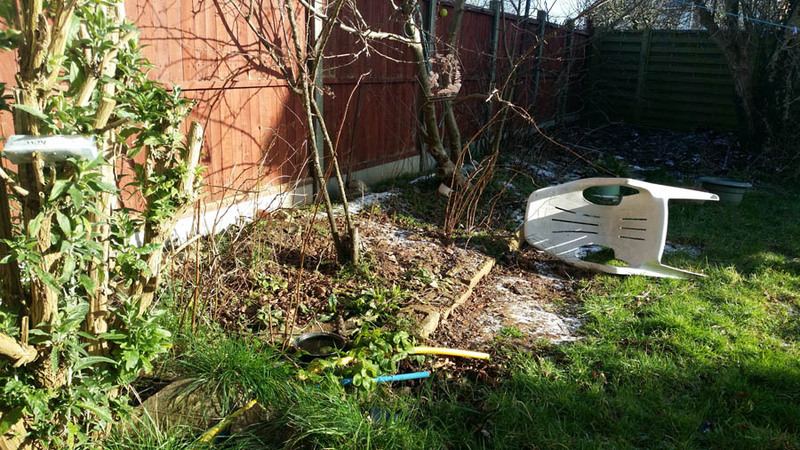 Spring is coming, the new Resilience Allotment is prepared for planting, new adventures await! Apologies to my followers for the long hiatus! I do appreciate you, and the whole blogging community. I learn marvellous things from these windows you open into other places and lifestyles – I hope I’m giving you food for thought. The links on this site are selected to provide stepping stones to further knowledge. Inform yourselves through many sources, and fake news will stand out like the wrong piece in a jigsaw puzzle. I expected June to be a quieter month than it usually is for me, as I’m not going to the Glastonbury Festival for the first time in many years. There’s no going against the rhythm of the seasons though, and events conspired to make this month every bit as hectic as before! I’ve been working hard on my next book, about food and resilience…this involves a lot of experimental cooking and field studies. We finally got an allotment garden for our project; it’s quite overgrown. Although late in the season, we’ve managed to plant out the last of our seedlings, and there are quite a few food plants there already which only need the undergrowth cleared away. 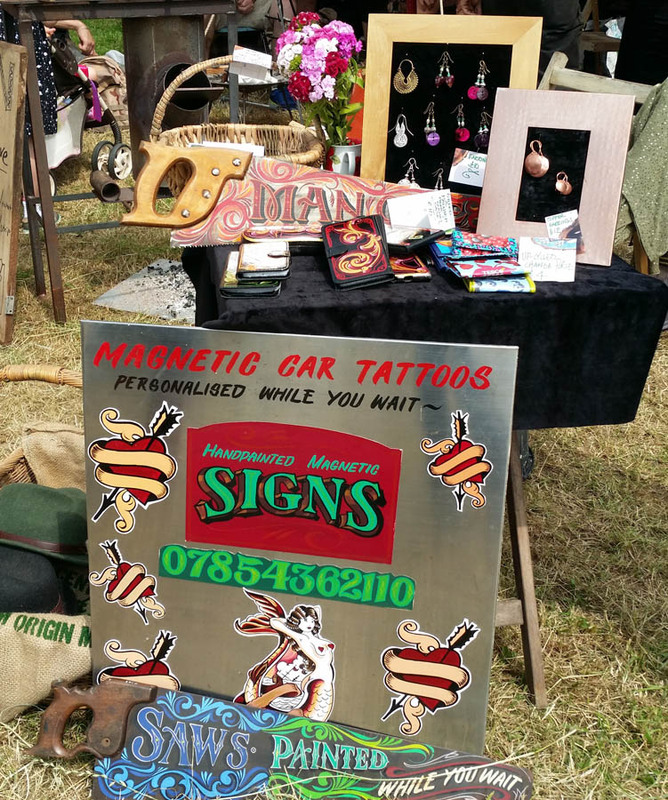 It was the Green Scythe Fair on 12th June, which is an annual fixture for me. Strolling among the colourful stalls is like visting a future where everything has worked out fine. People gather around to admire the latest electric car on display, discuss the merits of the various tools offered for sale, consider hand made clothes or choose a pair of angora rabbits to breed for wool. The faint tap of peening scythes underscores the murmer of conversation. A woman plays her fiddle while children dance; other youngsters make nests from the cut grass. A tremendous selection of local delicacies are to be sampled here, from crystallised flowers to venison steaks. You can get anything you can think of to do with honey, including a hive of bees. All the brand names, the shiny labels, are absent though. The cafe heats its water by wood-fired rocket stoves; the electrical power is from storage batteries recharged by renewables, including the lights and entertainment at night. 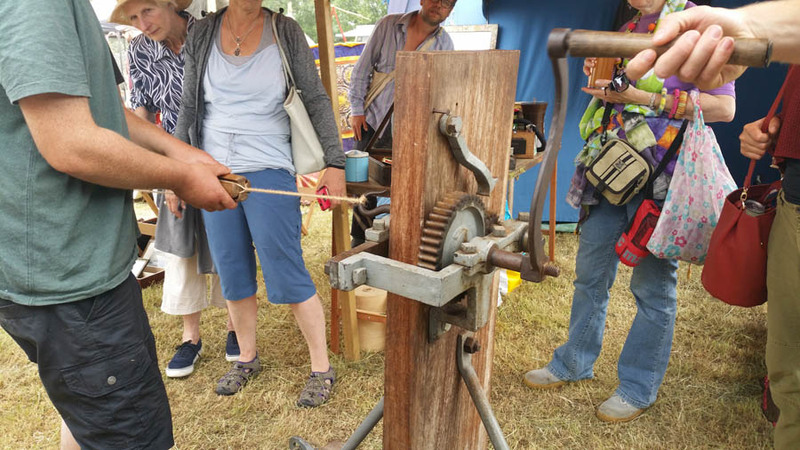 In the Craft area, one can see blacksmiths, stone masons and thatchers at work. There’s a stall selling hemp twine, another with leather pouches. A man haggles for an enamel basin, a woman picks a new copper kettle. The plough horses watch curiously as you pass by; yesterday they were demonstrating techniques for a land workers’ training session. The centre piece of the event is the scything. A grand marquee is set up like a scything supermarket, with blades, whetstones, files, all the odds and ends of the craft. You are ‘fitted’ for the right size of handle, consulted about the appropriate blade and shown how to attach it. The complete novice is given a introductory pamphlet, but it’s wise to enrol on one of the day courses. Like any skill, it’s best learned alongside a master. On the day of the Fair, however, all these craftspeople were out on the long grass in the centre, where the competitions were taking place. There were trophies to be won, reputations to be made! A sudden downpour had flattened much of the grass – how would this affect the form? The skilled scythers – men and women in separate heats – would cut their allotted square down to the length of a well trimmed lawn in only a few minutes. Assistants raked up the fallen grass while the judges inspected the quality of the job and considered points. After the business of the day was done and the cups awarded, the music and carousing began in earnest. The stalls closed up and stole away; the families left. Only the crafters and campers were left to wind the evening up in traditional style and wobble gently home across the dark, empty fields.